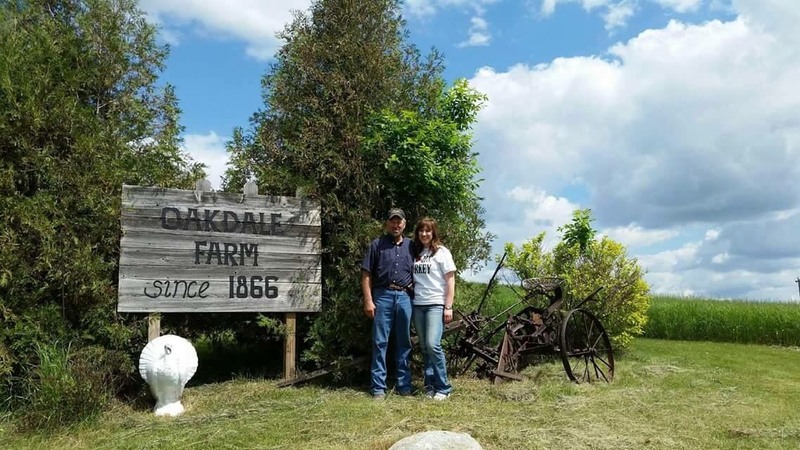 Our December 2018 “Women in Ag” feature is Erica Sawatzke. After working for MN Turkey Growers Association she returned to her family turkey breeding farm near Kensington, MN. I met Erica this past September when she spoke at an Ag and Animal Science Conference. I enjoyed hearing about her involvement in the family farm and passion for agriculture. Erica: I attended NDSU and received a Bachelor of Science degree in Animal Science. Prior to moving back home to farm, I worked for the MN Turkey Growers Association. I am the 6th generation on my family’s turkey breeding farm. The hens on our farm lay eggs which we sell to a hatchery. The hatchery sets those eggs in incubators and once hatched, the day-old poults are sold to turkey farmers who are raising turkeys for meat production. We also grow corn and soybeans. WAGN: Agriculture and family businesses can be difficult; what are some successes you’ve had that help you to stay positive? Erica: Communication is key - after chores are done, my family and I sit down for a quick cup of coffee to plan for the day and discuss any important matters. A mentor of mine once told me to “get involved and get off the farm once in a while.” I serve on the MN Ag In the Classroom board and on the Board of Animal of Health. By serving on these boards, this has helped expand my network and knowledge base. My husband is a high school Agriculture teacher - our life truly revolves around agriculture. He grew up on a dairy farm - his background and passion, partnered with mine, has allowed us to think outside the box on our farm. Having a supportive partner who is involved in the farm has assisted with our success. He is my rock during stressful times! Erica: I’ve learned that even though we may all have different types of farms, we still have similar experiences. It’s important to belong to a group of farming women and get together once in a while. The better we understand each other, the better we can advocate together for our way of life.